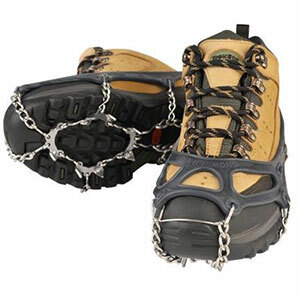 The best ice traction pull-ons I have found so far, much tougher than the others. 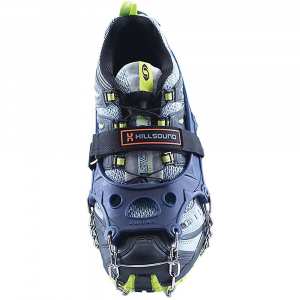 A notch or two shy of crampons in a packable size and weight. The roads, sidewalks, and trails can get seriously icy here in Trondheim, with at least two consequences: an upsurge in emergency room visits (our neighbor actually broke her femur taking her son across the street to the school bus), and brisk sales in all kinds of traction devices (brodder in Norwegian). The cheapest and most common type have studs set in relatively thin rubber that stretches over the bottom and sides of your shoes. They don't always grip well, and usually the studs falclout or the rubber tears before too long. Yaktrax are better, but they also don't bit very deep and my wife broke a pair in a little more than a year. So when I saw these in one of the outdoor stores, I had to try them despite the price. Snowline Technical Mountain Gear is A korean company that makes a variety of backpacking and camping gear. Some of it looks quite interesting, but this is the only item I have come across in stores. I don't know how widely these are distributed in the U.S., but I think think they are worth looking out for. Here I have borrowed a few photos from their web site rather than take new ones of my own. So you get the idea — all-steel traction held to the shoe with a heavy-duty wrap-around and over the toe silicon rubber rand. There are eight triangular points in the forefoot and three on the heel, all about 1 cm (2/5") long. They are not exactly razor sharp but I have found they give a solid grip in both hard ice at temperatures well below freezing and in in wet soft ice at temps above freezing — conditions in which the small studs on my winter running shoes and studded bike tires struggle to get a grip. 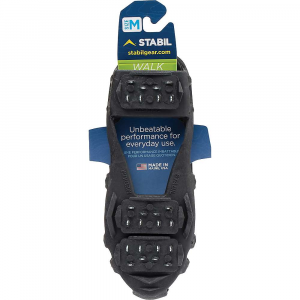 I have also used them on an early season snow hike up a nearby hill when they weren't really necessary but they took all the slip out of walking up and downhill in snow and thereby saved a lot of energy. They stay in place with very little slipping or movement on the boot. SO far I have not had any problems with them clogging up with snow. They come in a mesh-reinforced plastic case small enough to fit in a side or top pocket. With case included they weigh in at 470 grams or just a bit over a pound. Although there may be lighter options, I would consider carrying them on, for example, early summer trips in the Alps or the Sierra where you may run into hard refrozen corn snow in the mornings. 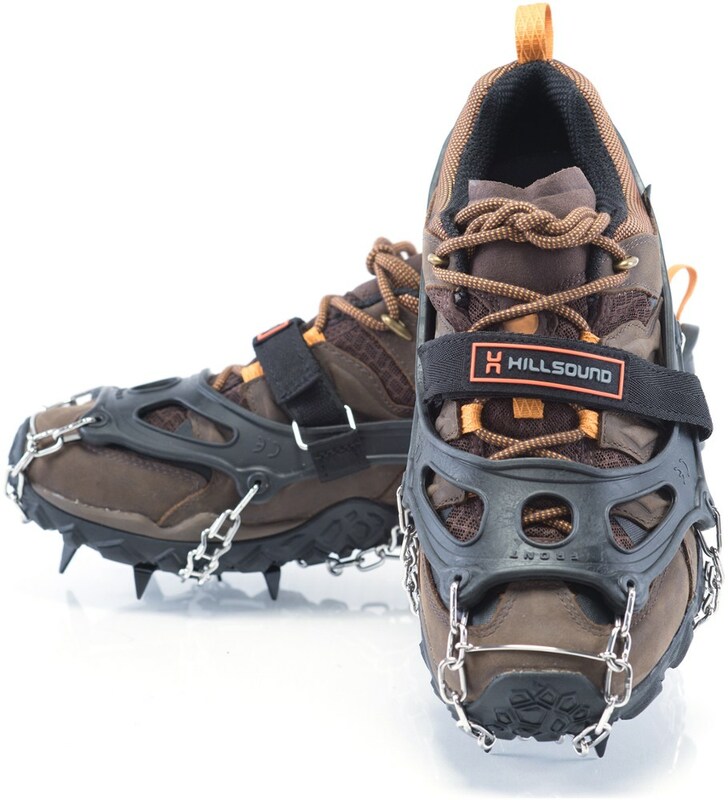 If things get at all steep in those kind of conditions, I want a solid grip, and these are lighter and more compact (and with a lower risk of self-injury) than crampons. But I'd want to give them a thorough trial before relying on them for long traverses on steep slopes, especially with any kind of a load. I bought them last winter and haven't used them all that much, so consider this a preliminary report. I have used them with hiking boots and NNN-BC ski boots. I'll try to report back on durability later, but so far they have help up well and I'm very impressed. I just bought a pair for my wife as a Christmas present — now that's a vote of confidence! Thanks for sharing these, Big Red! And I just noticed that your review was our 30,000th! Thanks for a great Christmas gift from you! Alicia: Looks like these are very close to the Kathoola microspikes you reviewed a few years back, just sold under a different name. 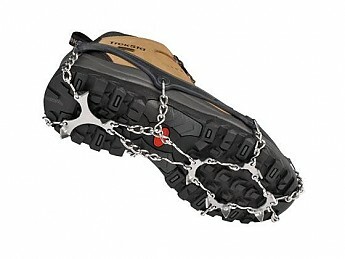 But the Kathoolas look more like the "regular" Chainsen rather than the Chainsen Pro as shown on the Snowline web site. 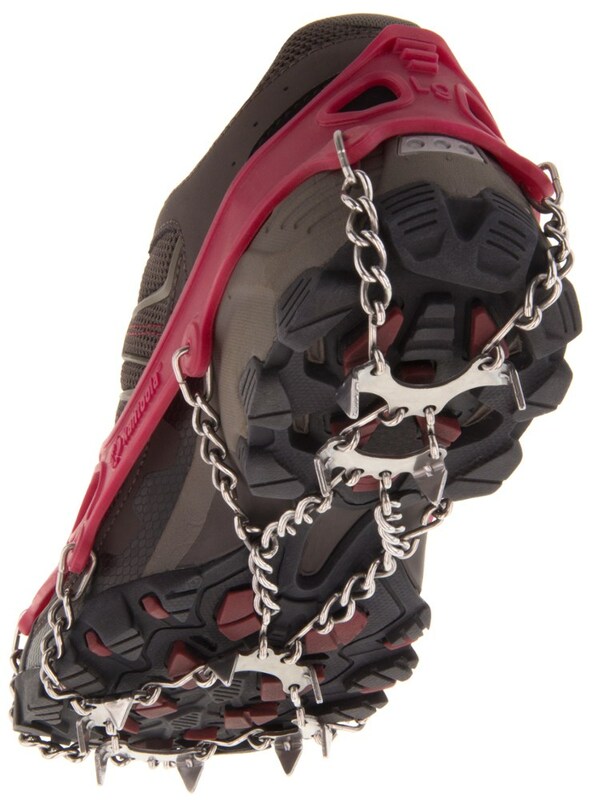 So anyway maybe they aren't available under the Snowline/Chainsen name in the US. Big Red: I do really like and still use Kahtoola Microspikes. I just on a pair the other day for my first snowy/icy trail run of the season. I've recommended them to many people. The Chainsen does look very similar. It also looks like you can get them in the US through Amazon. 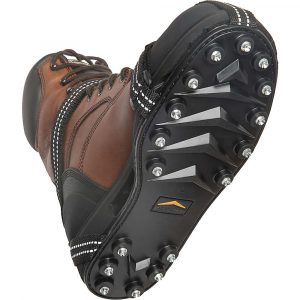 Camp also has a version of these (or a version of the Kathoola microspikes if you will). 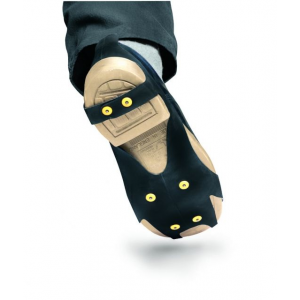 The added feature is an extra velcro strap higher up the top of your shoes. 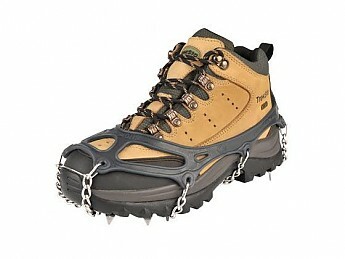 If your fit is not ideal this helps it stay in place, which helps with the grip on steep terrain I guess. I found myself crawling uphill on all fours through icy snow—not even trying to use the glass-slick trails—and headed right out to buy these. Absolutely love 'em. But who carries them? I got the last pair at Sierra, and I want some for my wife. The XXL fit over my size 16 Clarks. The rubber is so bombproof that they can be a little hard to pull on. Very good traction on hard ice and packed snow. First pair of crampons I've ever owned, and will never be without them again. Welcome to Trailspace, Aitch! Thanks for sharing your experience with these traction devices. I'm curious to see some pictures of your pair (if you're willing to add some to your review) to see how they compare to Kahtoolas. Thanks! 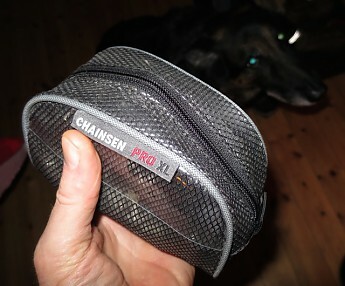 The Snowline Chainsen Pro is not available from the stores we monitor.